Come and see us at CRE North! 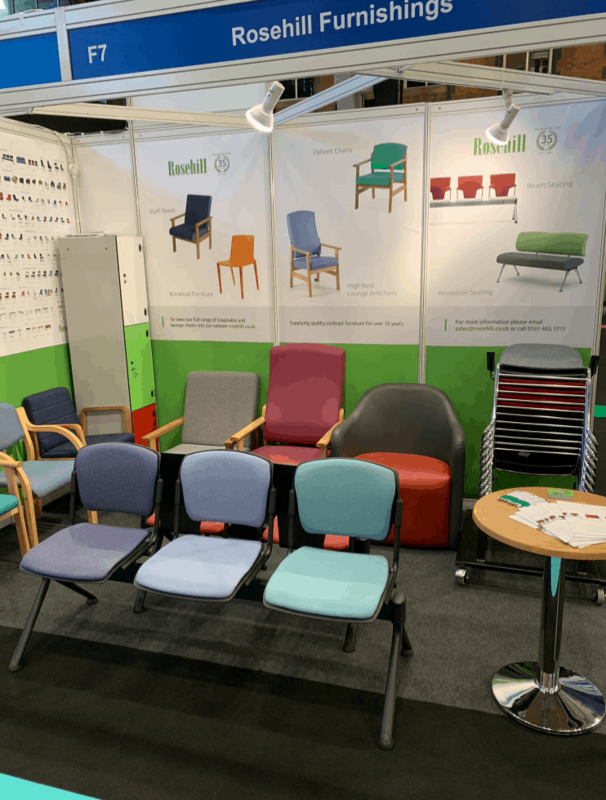 CRE is returning to Manchester for the first time since 2014, and Rosehill will be exhibiting! The exhibition will run for two days 13-14th March at Event City in Manchester, which is situated just minutes away from the Trafford Centre making it easily accessible with excellent transport links, so we’re super excited to be exhibiting this year! Previous CRE shows in Manchester have attracted more than 2,500 visitors so we’re hopeful that this year has been a good one, after it’s eagerly anticipated return. CRE North creates a place to meet Church leaders and decision makers from all over the North of England. It’s an ideal platform for networking but also for making new relationships with industry suppliers. Rosehill are looking forward to meeting new key industry leaders, but also seeing familiar faces. It’s the perfect opportunity to arrange meetings and catch up so please feel free to get in touch prior to the exhibition. 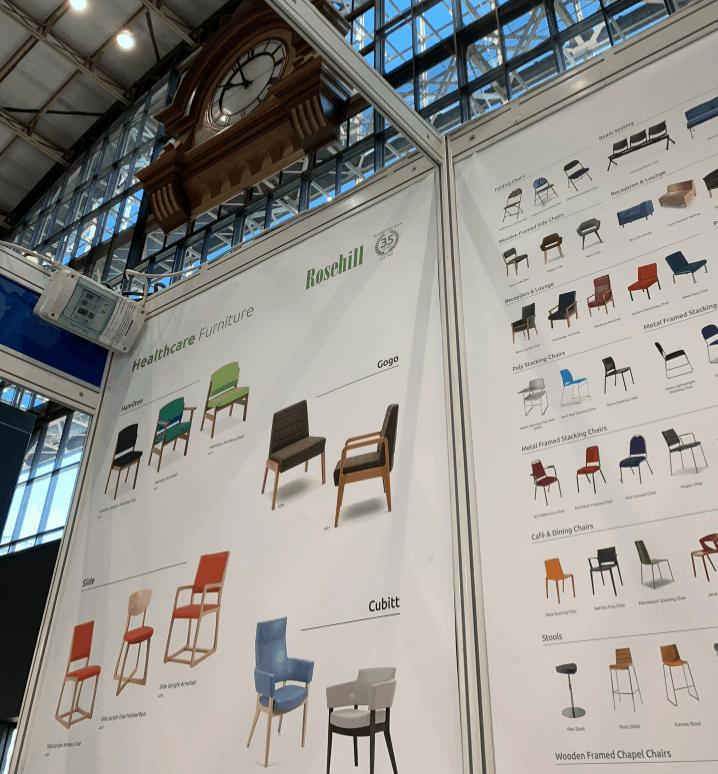 We’ll be there with a number of different popular furniture options and samples for you to test and try at the show, and our expert sales members will be happy to advise and help with your enquirys. To register for for tickets follow the link below..
https://www.rosehill.co.uk/wp-content/uploads/2014/03/Churchill-Plus-Maestro-Chairs-Insitu.jpg 800 800 Steph https://www.rosehill.co.uk/wp-content/uploads/2017/05/rosehill-furniture-logo.svg Steph2019-02-18 16:36:232019-02-18 16:36:23Come and see us at CRE North! Rosehill are always looking at the fabric ranges we offer on our made to order chairs. We want you to have a wide choice of material types and colours, with specifications to match your needs. Since the Flamblend fabric was discontinued last year we have been looking for a mid-range option and are now happy to add the Kinloch range. This fabric is made by ILIV and is medium hazard (Crib 5) as well as being treated to be stain resistant. 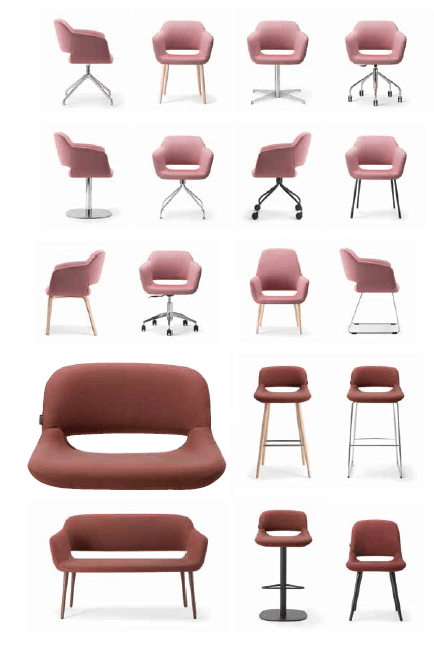 It has a nice range of colours – including the Wine which you can see on the Maxim Deluxe sample chair on this post. The Kinloch fabric is available on the Churchill Ultra page to order online. We’ll add it to more products in due course. For swatches or fabric cards please email your details to sales@rosehill.co.uk. Other updates this month include the Just Colour range of vinyl. This has been downgrade back to Crib 5 to keep the cost competitive. Chieftain will be launching a new Crib 7 range later this year. Most of our customers only need either low hazard (Crib 2) or medium hazard (Crib 5) upholstery. So the Just Colour range will still be a high enough specification for most contract use. But if you do need a Crib 7 option please give us a call on 0161 485 1717 and we can advise on alternative ranges which meet that requirement. Camira Fabrics have updated us with their product changes which will be coming into effect over the next 6 months. A few ranges have been discontinued already (although not ones we advertise here on our website, or use regularly). 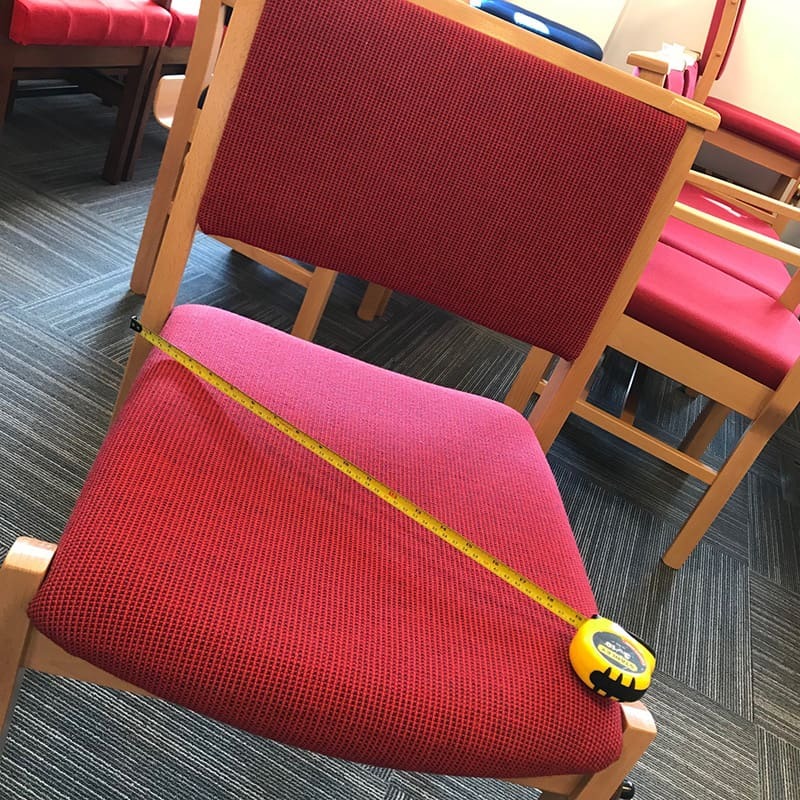 Within their existing ranges there are some changes which will effect some of the fabrics we offer as standard on our chairs. The Advantage, Xtreme and Main Line Plus ranges all include colours which will be phased out. The colours affected will still be available to order until the end of June 2019. After that they will be discontinued. Any remaining stock from July will be on request only. As a lot of our customers have long project planning stages, and others order in batches over a period of time, we have decided to update the online colour choices over the next couple of weeks and to remove the colours being phased out. Please click here for the full list of changes from Camira. If you would like any of the fabrics being phased out, or already discontinued either call the offices on 0161 485 1717 or email sales@rosehill.co.uk with your requirements and we will advise on what is still available. Starting with seating we have two very popular options including the Churchill Deluxe and the Faith Chair. The Churchill Deluxe pictured below has a large 11″ back pad for increased support and comfort. It’s traditional style makes it a popular choice for crem’s and places of worship alike, plus the underails are included as standard and are ideal for storage. 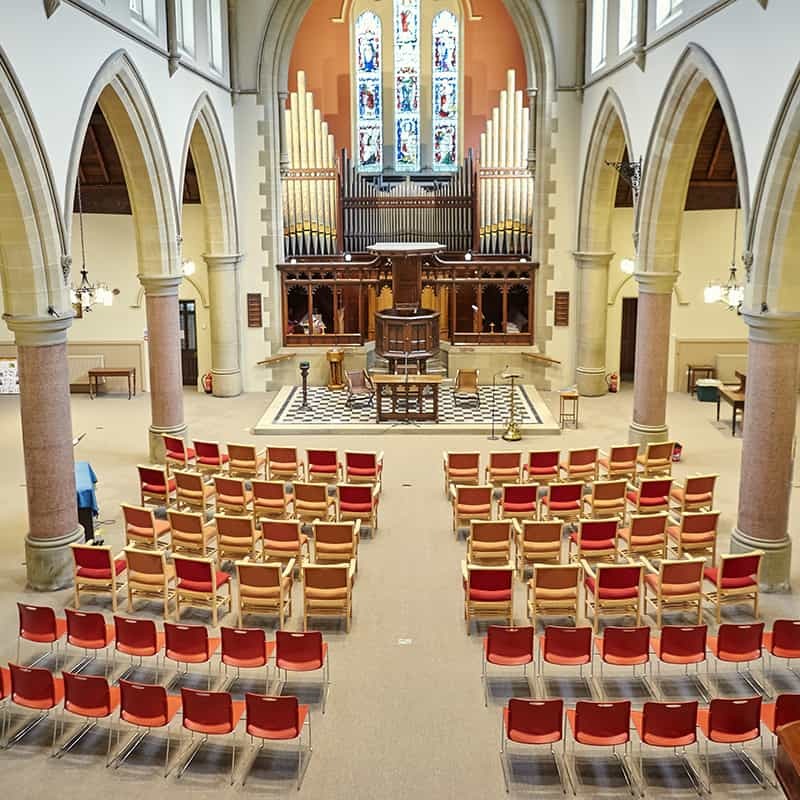 The Faith Chair is similar in style, but was designed to give customers extra flexibility of having individual chairs that could also be linked in a row to create the look of traditional pew seating. It’s a practical model and also has options to stack, or include underails or arms. It’s an ideal choice for your crematorium seating. 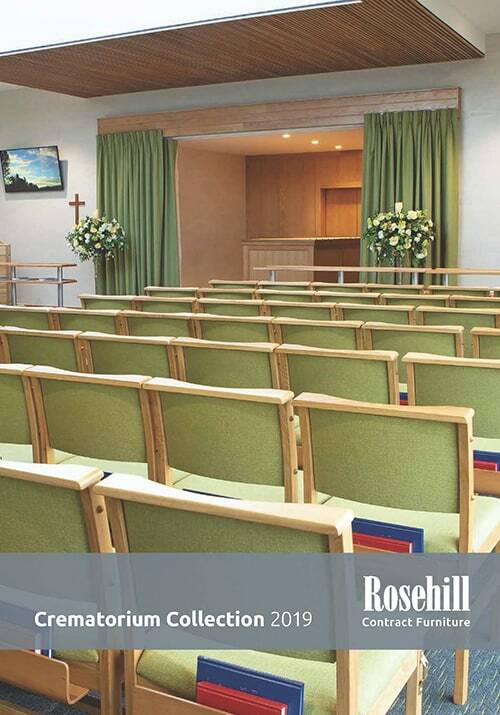 Aside from seating, Rosehill also supply additional furniture items for your crematorium, such as modesty panels and catafalques. The Rosehill modesty panels are made to order, and can be manufactured to your exact requirement ensuring that the size is suitable for the space. Similarly Rosehill Catafalque’s are also bespoke and made to order for your crematorium. You can head over to the product page here for more information, or you can call our team who would be happy to discuss your requirements. Our Modesty panels have a stable and strong base, and are manufacturer with a solid beech frame and veneered panels, however customers can choose to upgrade to oak if preferred. In the image above the front of the panel is fully upholstered but alternatively shelfs can be added on which makes for convenient storage solutions. 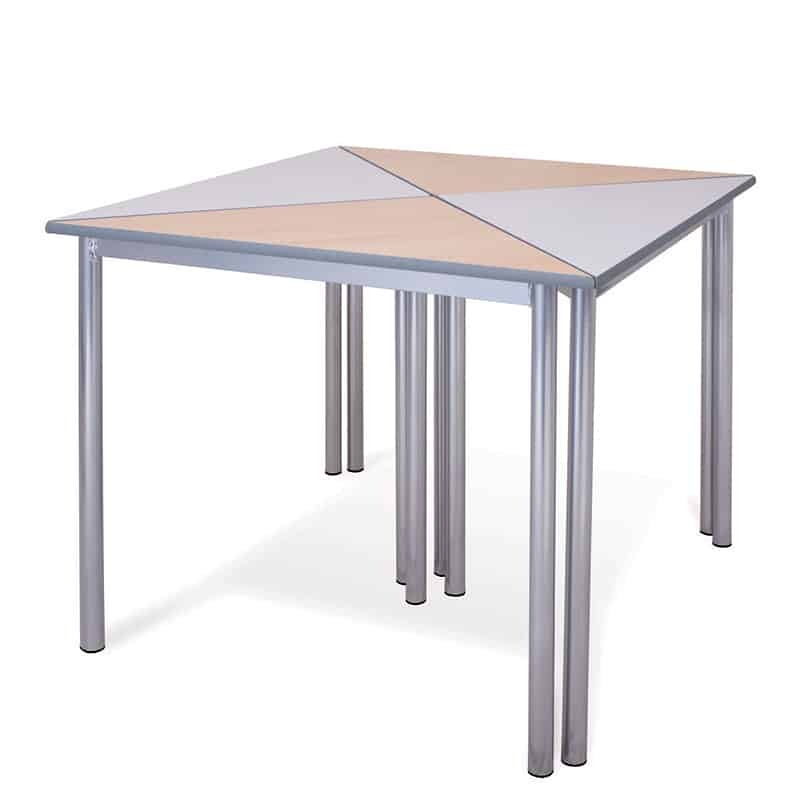 We also supply a range of different lecterns including box lecterns or free standing, both of which are hardwearing, high quality and traditional. You can see our full range of lecterns and other sanctuary items over on our website here. We’re confident that you’d be able to find a suitable option for your crematorium. Other options which you may be interested to hear about include curtains and blinds. We offer the complete service of supply and installation and for more information on this service you can call our team with your exact requirements, however we can offer a variety of fabric types and colours, all of which are of a high contract quality. 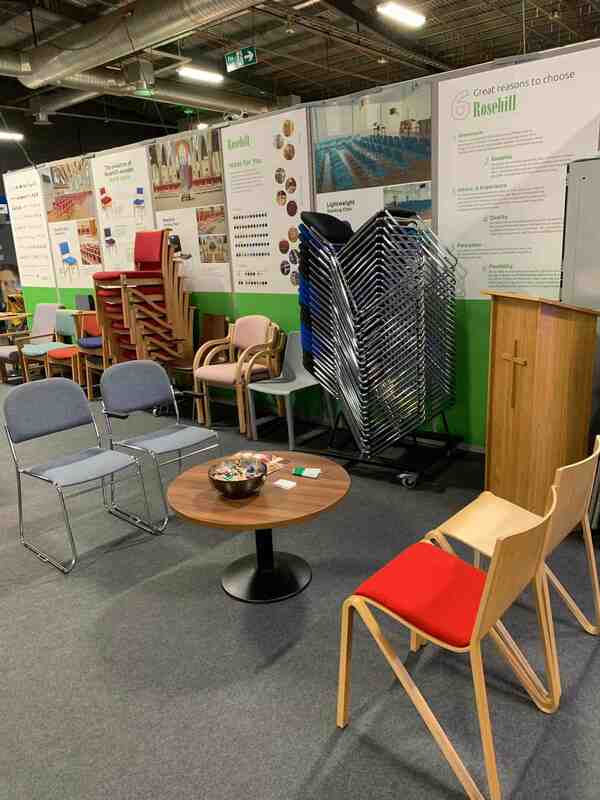 That’s a brief summary of our most popular furniture options for the bereavement sector and crematoriums however our team would be more than happy to answer any questions on the above. Just get in touch by calling 0161 485 1717. As you’re probably aware a few weeks ago we attended and exhibited at Healthcare Estates. We just wanted to follow up with a few photos from the event, which we found to be a huge success. If you want to read more about Healthcare Estates you can read our original blog post we wrote a few months ago in the run up to the event. As lots of customers know we send out lots of sample chairs. These are for you to try out and make a decision before you buy. This involves shipping them around the country, and they take a bit of a wear and tear. Like our customers we prefer to repair and refresh the seating when a full replacement isn’t necessary. Our Replacement Pads are perfect for this. As we have lots of enquiries and orders for replacements we thought we’d show you how easy they are to swap over. This is an R53 Millennium chair. The frame is still in great condition so it just needs some new pads after a bit of damage to the back in transit. On this model it’s simple with four screws in the back pad and four for the seat. If you have an electric drill this is super quick and easy. If not a screwdriver is fine, you’ll just need a bit more elbow grease! Once removed carefully line up the new seat pad and screw straight into the board. For the back pad check the pad is pushed up inside the frame to the correct position. If you are using a drill try not to overscrew into the boards (personally I use the drill to get the screws in most of the way, then use a screwdriver to tighten them up). From red tweed to the Linear Ink our sample is now ready to go back out for testing. Did you know our solid wooden framed church chairs are made to order? That’s why we offer so many options and finishes on the chairs. 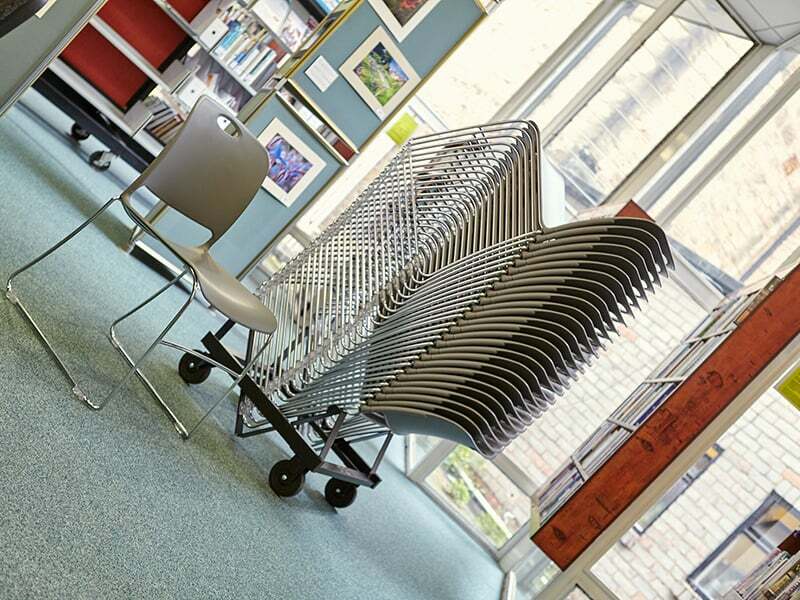 We want you to be able to customise the chairs as much as possible so your new seating fully meets your requirements. This includes something we have been asked for quite a lot recently which is changing the size of our chairs. This can be to make the chairs wider, narrower, less deep – or even with different length legs. If you have a custom requirement which you would like information or prices for please call 0161 485 1717 or email your details to Sales@rosehill.co.uk. Before you go full steam ahead with your office refurbishment we have a few products we think you should consider. 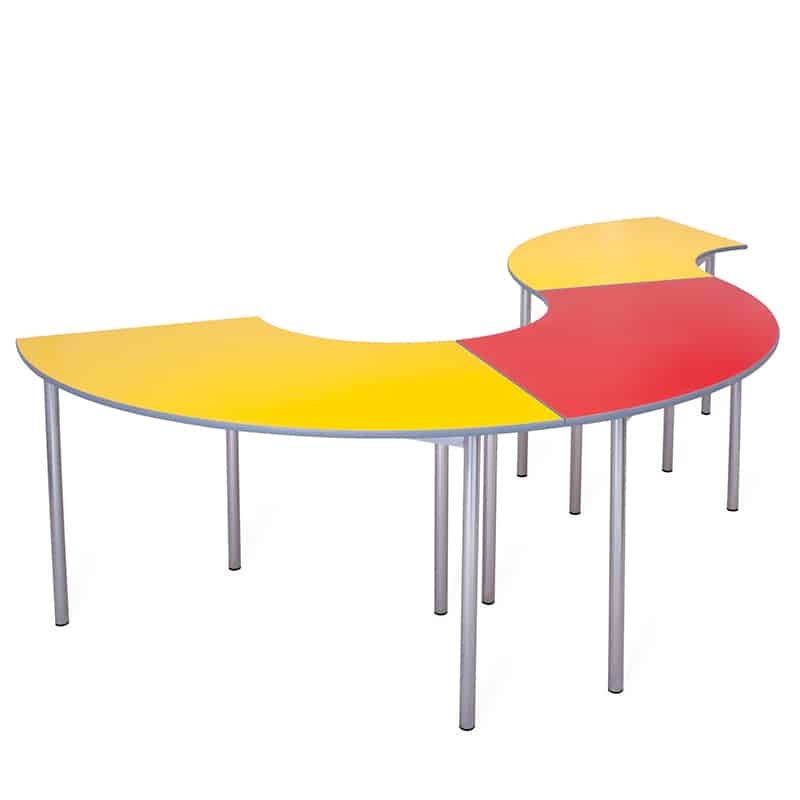 Our Kind range is one of biggest and varied in our product library for the office sector. The range includes meeting chairs, task chairs, swivel chairs and beam seating offering a solution for all of your office requirements. These are made to order, so unlike our fast dispatch stock products these are fully customisable to your own requirements. You can choose from a wide range of fabric types and colours, different arms and bases and even mesh colours. Manufactured in the UK the Kind Mesh Office Chair is a stylish, durable and comfortable seating choice for your office and boardroom. 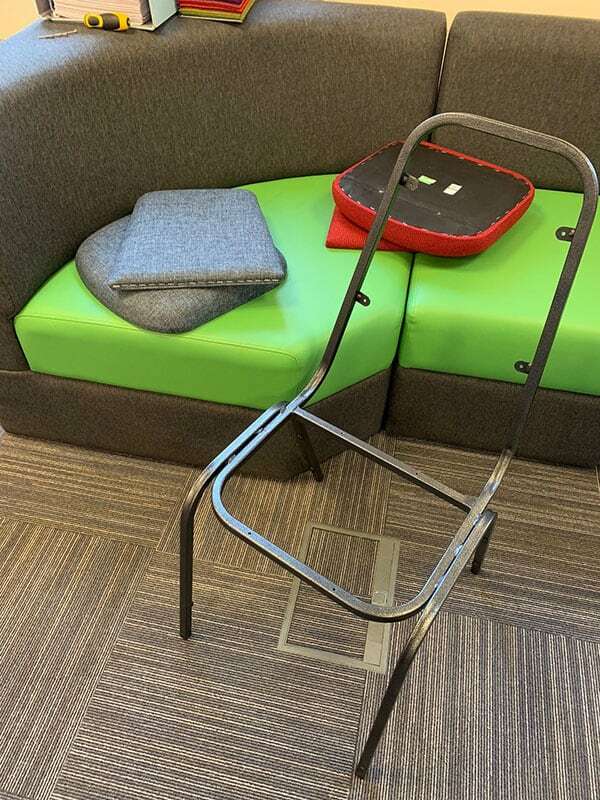 Including a dual mesh back with an adjustable lumbar, and the option of fixed or adjustable arms you can customise the chairs so they fit perfectly into your space. The Kind Task Chair is a classic option for your office space. It includes a height adjustable back with upholstered detail and a sculptured plastic outer back with matching black swivel base on 6cm hard castors. They’re both durable and comfortable. 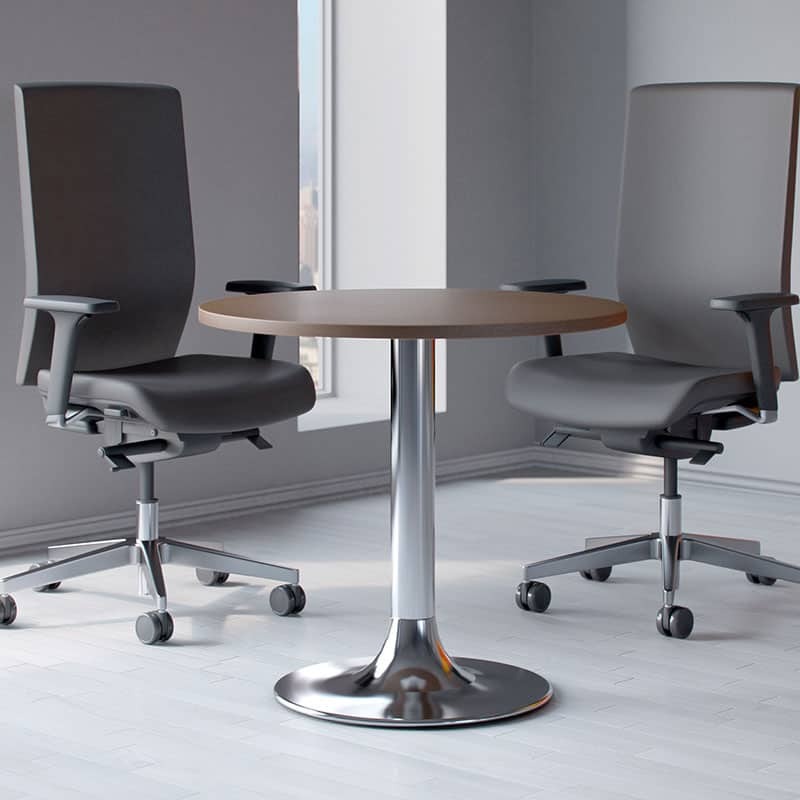 The Kind Meeting Chair range is an attractive and stylist seating solution. 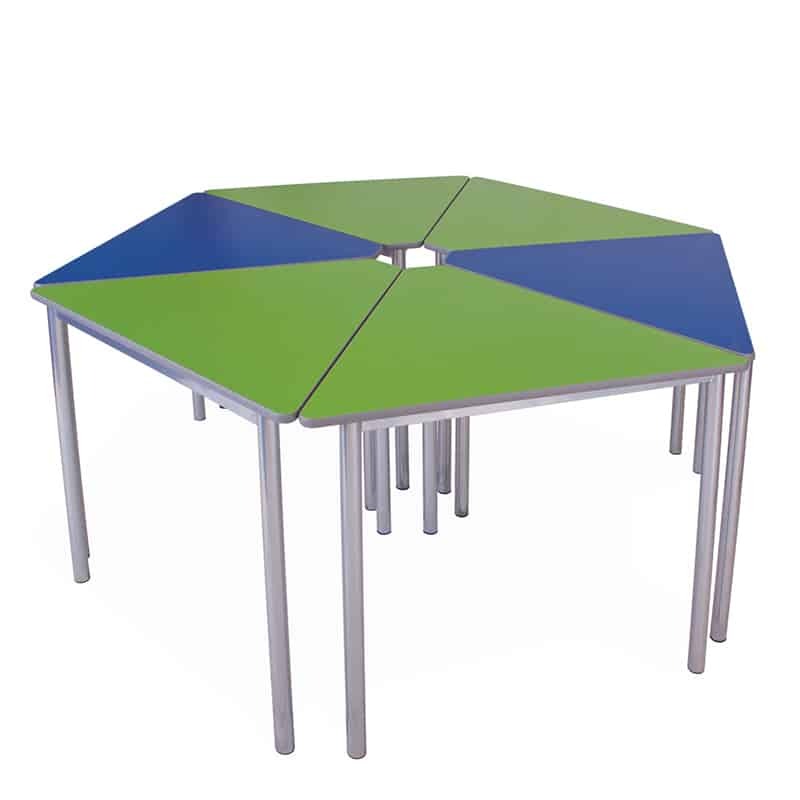 The simplistic design makes it ideal for meeting rooms, conference rooms or even learning spaces. 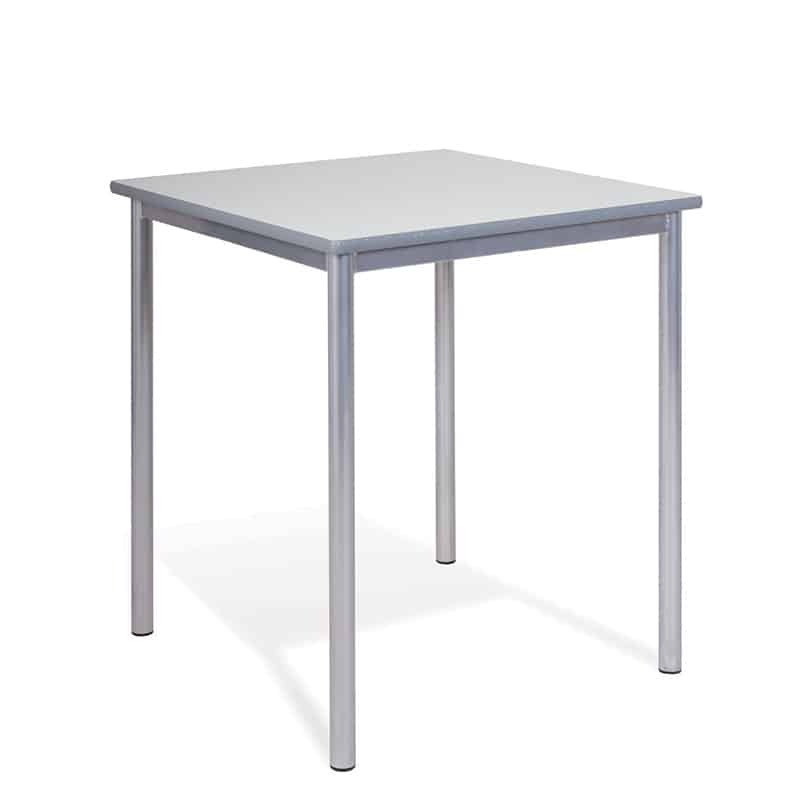 With a durable plastic outer back, in black as standard or the choice to upgrade to a stylish white finish if preferred, this range offers a wide range of finishes to suit your work space. 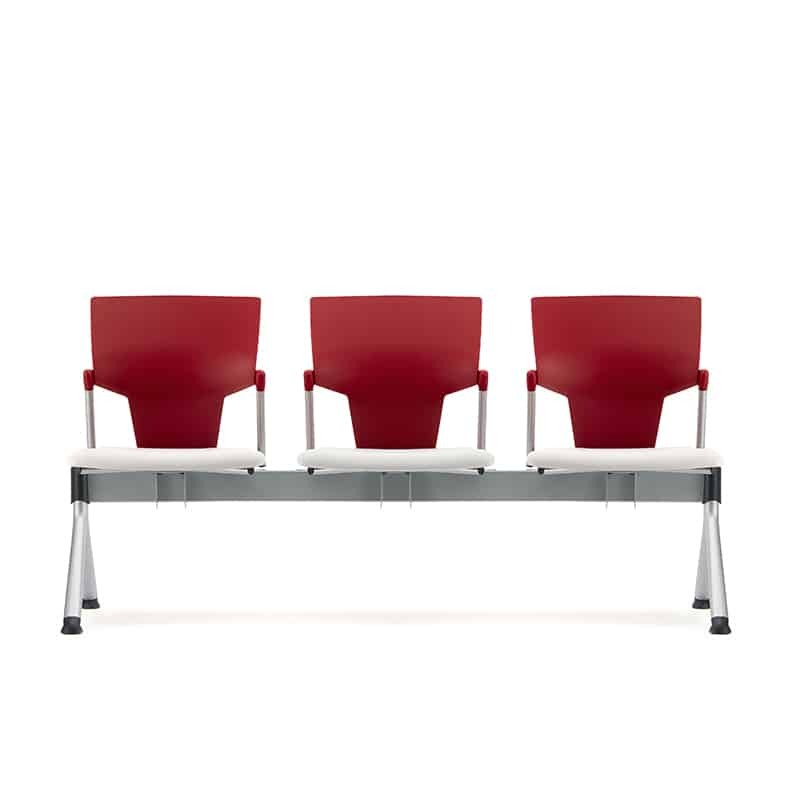 The Kind Beam Seating is ideal for your waiting room or reception area in your office space. 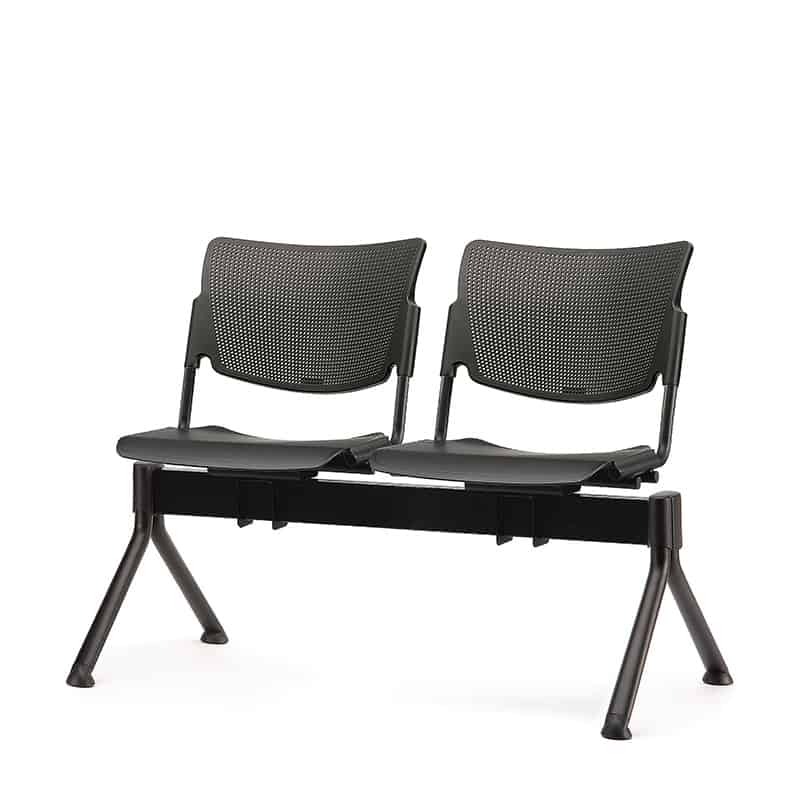 It’s a luxury beam seating option, with padded seats and backs for extra comfort and style. 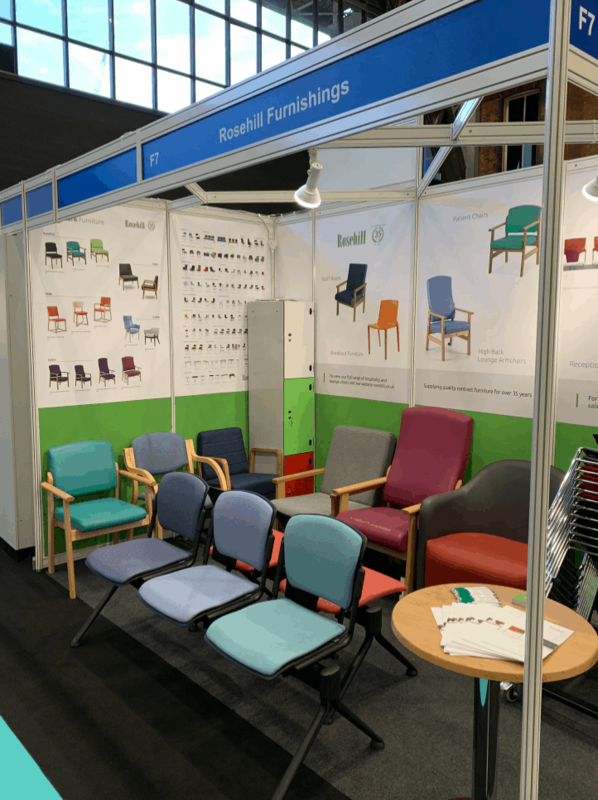 There are various options so that you can tailor your seating option to your specific requirements, including: a range of fire retardant fabrics or vinyls, adjustable feet and arms. Don’t forget if you would like to test any of our seating options available, you can book a showroom tour by calling our office on o161 485 1717. 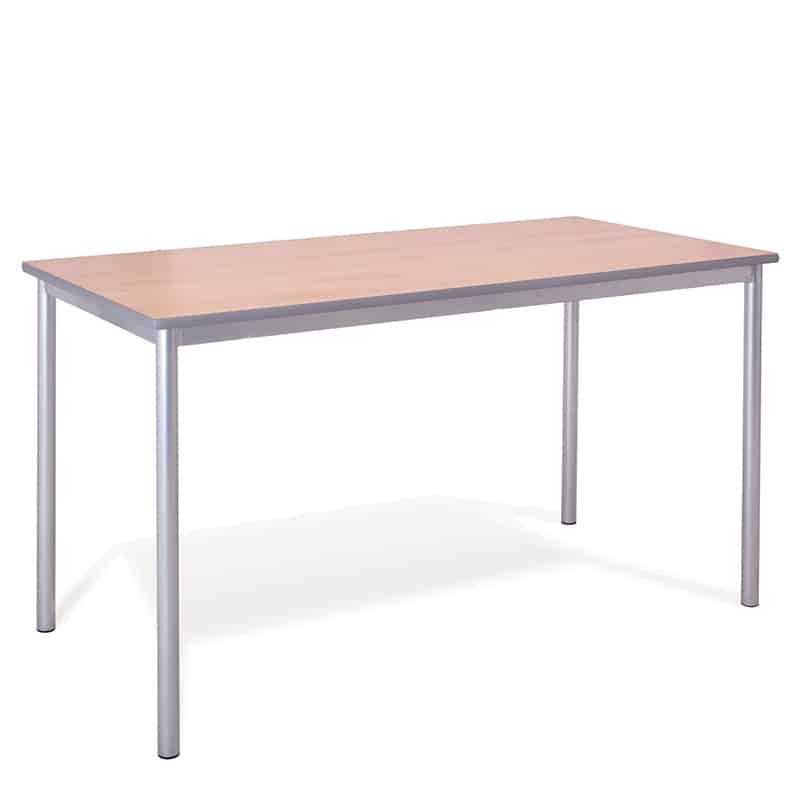 Alternatively, you can browse the rest of our office furniture range online. Please don’t hesitate to contact us with any enquiries. This month we’ve added two new luxury seating options online both ideal for lounges and receptions. The Magda and the Megan chairs are both stylish multi-purpose choices. Both ranges are Italian made and boast luxury and high quality, yet also offer versatility. These two particular collections have been designed with the demand of the A&D world in mind, and offer the same design of product but in a different type of seating. 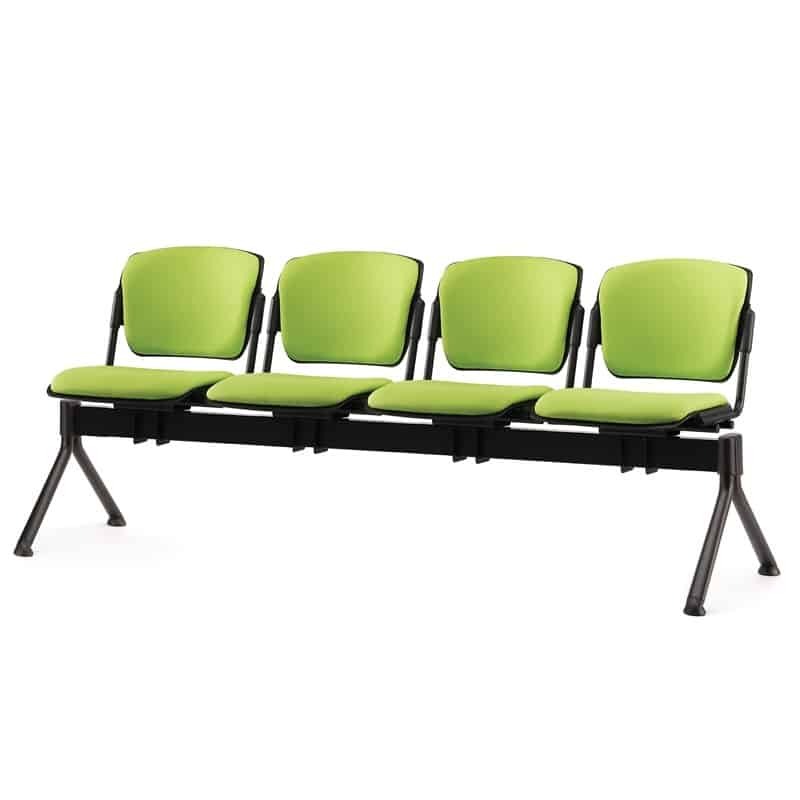 This allows different types of seating to be slotted in to the same environment whilst still offering style and continuity. 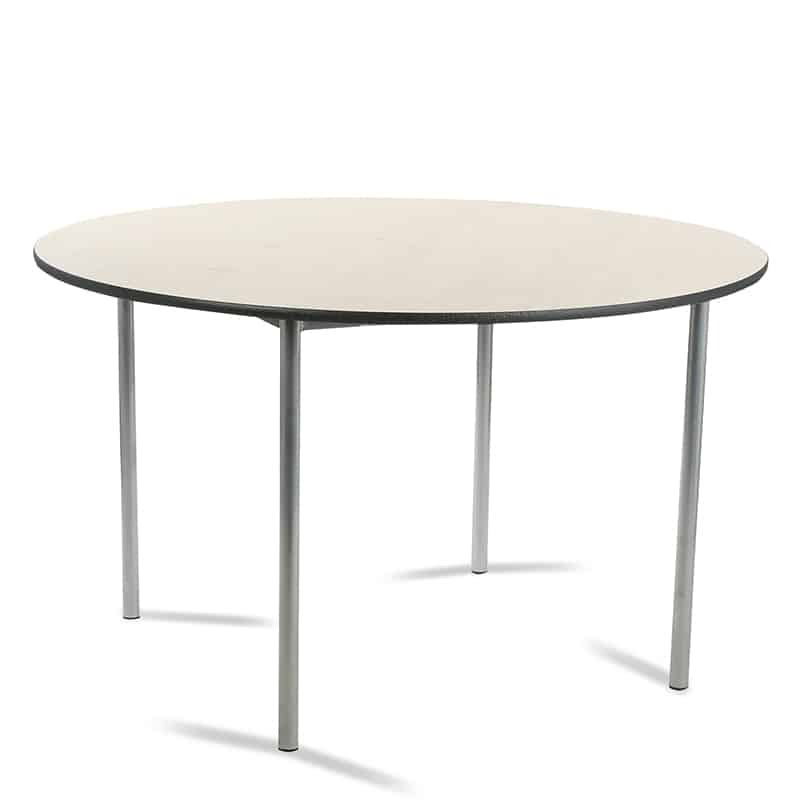 Rosehill customers can choose from a wide selection of bases to suit your requirements. Although not all base options are available to choose online, you can order or discuss your requirements with our sales team by calling the office. Alternatively you can view a selection from the Magda Range online here. 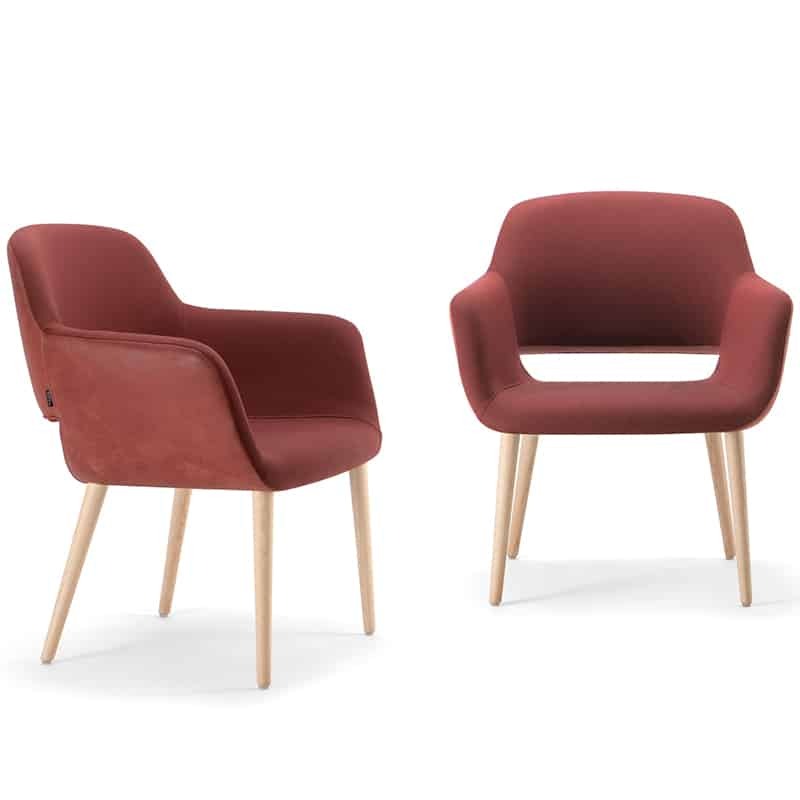 Although the Megan Armchair doesn’t offer as much versatility as the Magda range, it’s an ideal addition to your lounge or dining area offering both style and high quality. The Italian factory where it’s manufactured have over 50 years experience perfecting their craftsmanship, so we’re pleased to add this to our portfolio at Rosehill. The high back makes it the ideal product for relaxation areas, waiting areas and even retirement homes. The shape offers harmony and comfort, and combines the union of design with functionality. 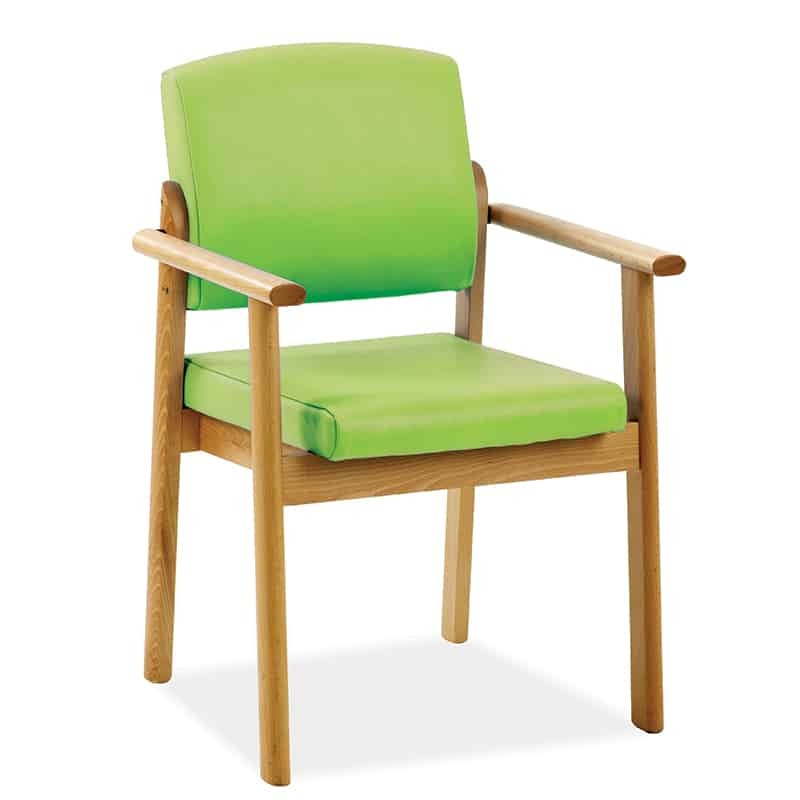 The Megan Armchair is now available to order online, made to order in a wide choice of fabric types and colours. Alternatively if you’d prefer you can call the office and discuss your furniture needs. 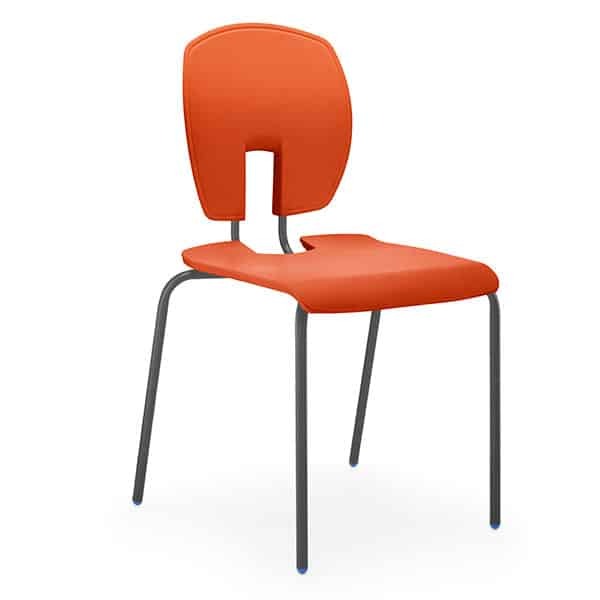 Just to keep you up to date we are happy to announce that the UK stock of Maestro Stacking chairs has been updated from 3 to 4 colours. As well as the Black, Flannel (dark grey) and Nordic (navy blue) you can now order the Blue Grey on fast delivery lead times. Others updates this month are mostly to the fabric ranges we offer. Please note the website is being updated over the next few weeks as/when we receive the new images from our fabric suppliers. The luxury Aston Vinyl is one of our favourite ranges for reception and lounge seating. It’s super hard wearing as well as having all the testing you’d expect – flame retardant, anti-microbial, stain resistant, phthalate free, waterproof and suitable for indoor and outdoor use. The range has almost doubled with the new colours added meaning you have a fantastic choice to fit in with your decor. The Chieftain Just Colour range has also been expanded. Already one of the ranges with a comprehensive choice of colours there are now 8 new additions. The Camira Blazer is more popular in the commercial sector and this has been updated too. Some colours will be phased out over the next few months, with the new colours already available to order. The Blazer Dartmouth is a new blend which has been developed to tone with wooden frames and we expect that to be a very popular addition. Lastly the Era range is popular on our soft seating and office task chairs. 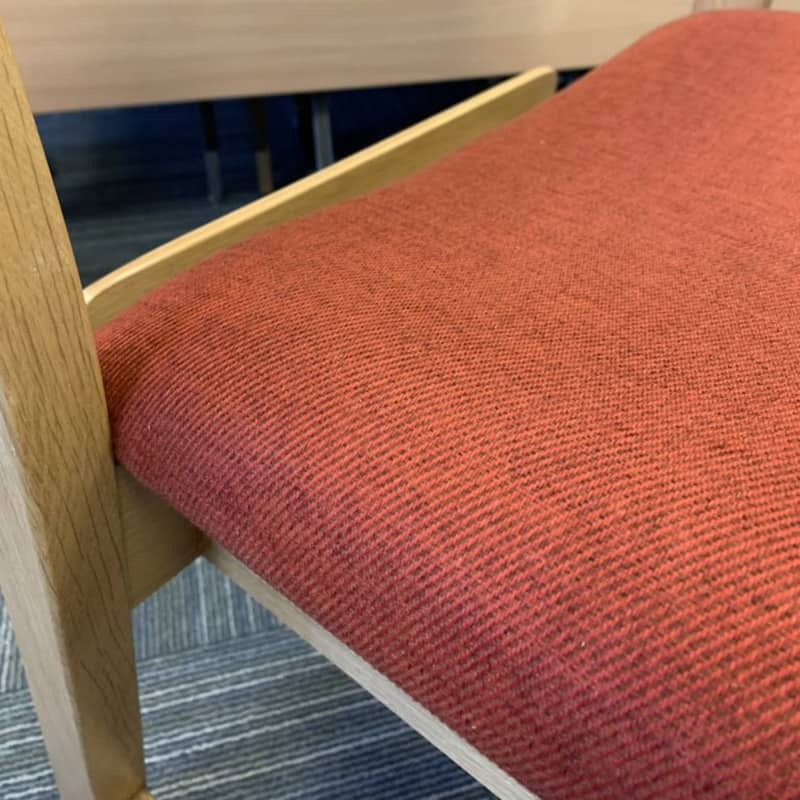 This subtle two tone polyester fabric has been growing in popularity which we expect to continue with the large selection of new colours added into the range. For fabric cards or swatches please call 0161 485 1717 or email sales@rosehill.co.uk. A few weeks ago we attended Management in Practice (it was nice to see those of you that attended). If you don’t know what Management in Practice is an event for all practice managers, GP’s, and all those involved in primary care business management. 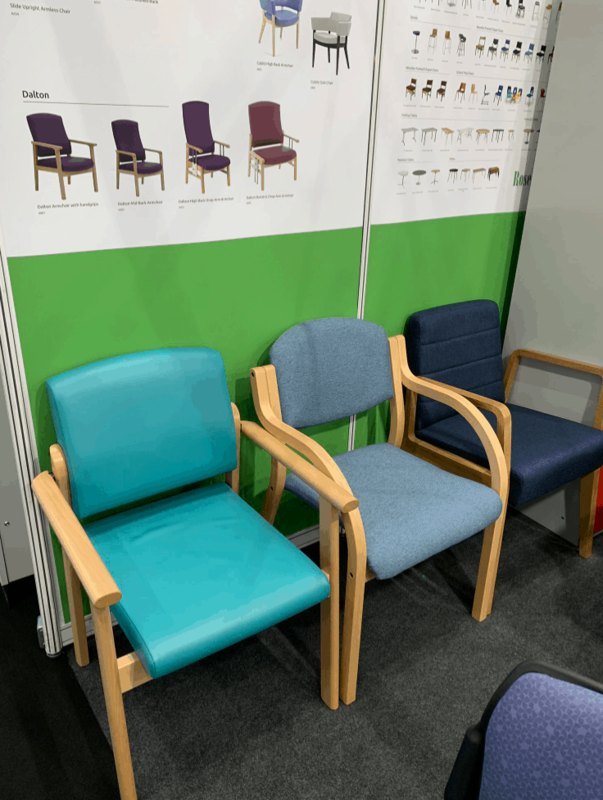 We had a busy day at the Manchester event, meeting with existing, new and potential customers, and showcasing some of our best furniture items for GP surgery’s and practices. We found that our beam seating stole the show completely, as was our most popular range of products. Although we manufacture a range of different beam seating options, we found that we had most interest in the Ikon and Mia beams. Both of these come with either plain poly seats and backs, or upholstered with the Cadet Vinyl – the vinyl particularly was a huge selling point. 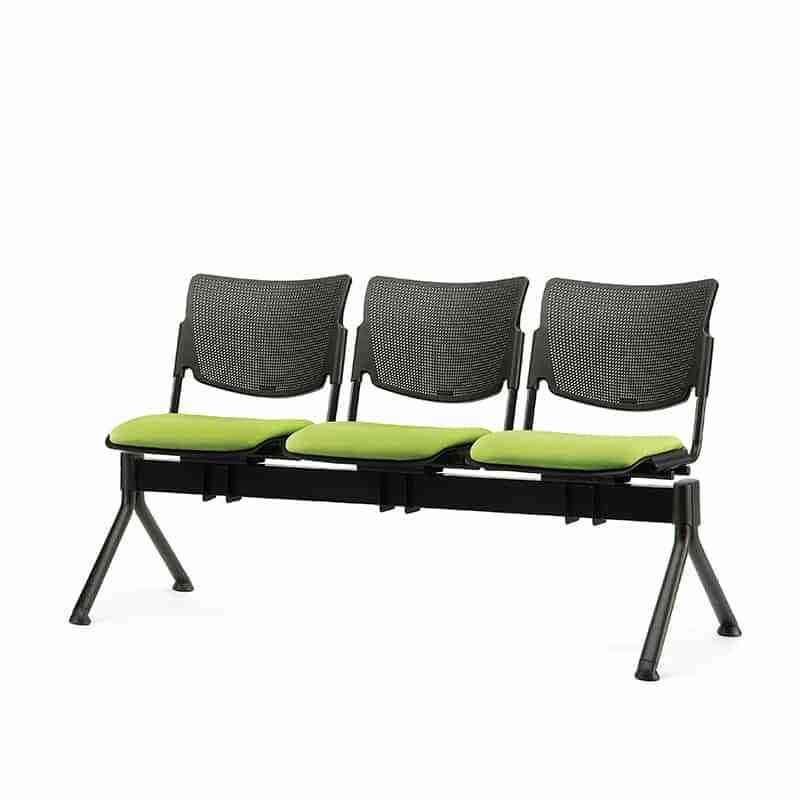 Option of breathable plastic back or padded seats in a range of fire retardant materials. If beam seating isn’t what you’re looking for, then why not opt for a bespoke reception desk? We’re currently adding this service to our portfolio and we can’t wait to get started. Get in touch if you want to find out more, or if you want to enquire about any of our other waiting room furniture or the beams above. Just call 0161 485 1717!